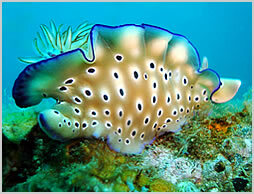 Click here to become an Asia Dive Site affiliate partner. 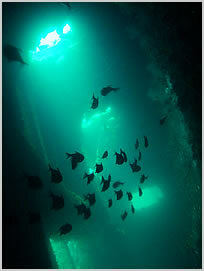 Coming soon ... Truk Lagoon, Saipan, Taiwan dive sites. Chumphon, Thailand coral reef cleanup project. Diving Pulau Weh, Indonesia; The Canyon. For some great easy access diving in crystal clear waters now would be the time to head over the Puerto Galera in the Philippines. Sabang is the hotspot where you can literally dive off the beach and find all types of dive sites from reefs to wrecks and a wide variety of marine life. Macro fans won't be dissapointed as the area is a haven for nudibranchs and other critters, big fish freaks can also get their fill on some of the deeper dives and drifts out at Verde Island. Camera: Sony DSC W80, Ikelite housing. The coral reefs of Southeast Asia are said by conservationists to be the most important in the world as they are among the most diverse and productive communities on the Earth. Of the 800 different species of coral known to science, three-quarters are found in Asian waters. A rich marine ecosystem stretching over thousands of kilometers and crossing many countries makes this region the best on the planet for the scuba enthusiast. The map below highlights dive regions that we have covered, click on each one to get a larger map and more information on the country. 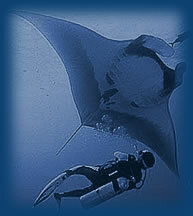 Each country also has area dive site maps that will link to a local map with descriptions of the dive sites. 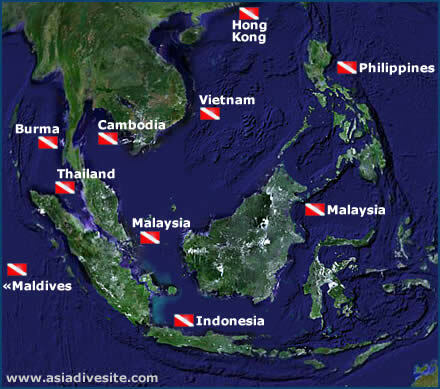 This is a very approximate guide to diving seasons in Asia - we recommend that you contact dive operators to get specific weather information for their area. Myanmar message boards, travel, updates and news. Travel journals and photos on the road in Asia.